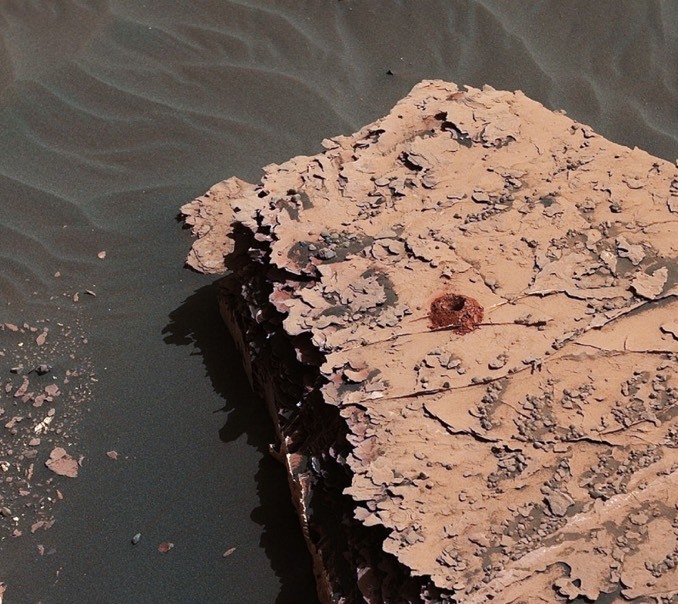 Sidelined for more than a year by a mechanical problem, the Curiosity Mars rover’s drill is back in operation, allowing the robotic geologist to once again bore into rocks for sample collection and analysis. After months of analysis and testing on Earth, engineers at NASA’s Jet Propulsion Laboratory in Pasadena, California, recently uplinked commands for a new drilling technique that lets Curiosity’s drill bit extend out beyond two stabiliser posts originally intended to steady the bit against a target rock. The Feed Extended Drilling technique allows Curiosity’s robot arm to impart additional force on the drill, much like a construction worker would use a drill on Earth. 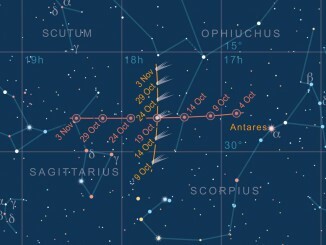 The new technique was successfully tested 20 May to bore a 5-centimetre (2-inch) deep hole in a target rocket dubbed “Duluth.” It was the first use of the drill since December 2016. 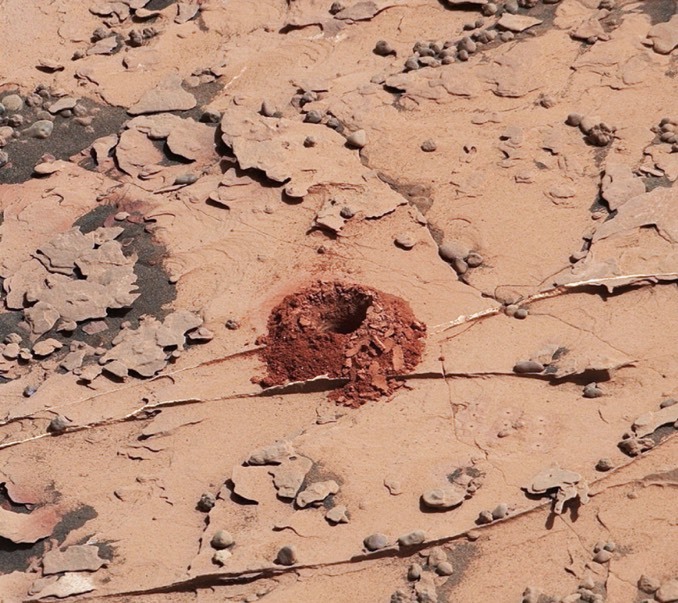 With the drill back in action, Curiosity engineers plan to begin testing a new process to collect rock fragments from around bore holes for delivery to the rover’s internal laboratory instruments for chemical analysis. Curiosity has been making its way up Mount Sharp, a towering mound of layered rock in the center of Gale Crater, and currently is perched atop a feature known as Vera Rubin Ridge. With scientists hopeful the new drilling technique would work, Curiosity was ordered to reverse course in April and head for an area just below the ridge. By sampling rocks as it moves up Mount Sharp, scientists hope to get a more complete record of how Mars’ climate changed, turning a once warm, wet world in to the cold, dry planet seen today. 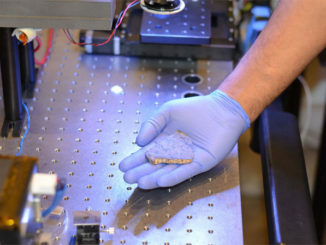 NASA plans to use a piece of a martian meteorite as a calibration target for a high-precision laser instrument aboard the agency’s Mars 2020 rover, marking the first round trip for a fragment of the red planet blasted into space during an ancient impact. 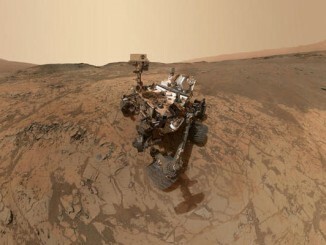 A short circuit that halted movement of NASA’s Curiosity Mars rover is not expected to keep the mobile robot stationary for long, but engineers want to know whether the problem will restrict some future science operations.